I first stumbled upon them at Whole Foods in Monterey a few months ago with Brian. Shortly after that I saw them featured in a magazine article (not sure which one), but I'm hooked. Wishing they were easier to find, though I am relieved that Safeway now carries them! 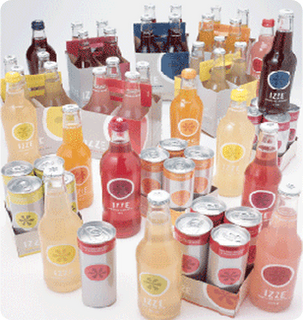 Anyway, there's my shameless advertisement for IZZE Sparkling Juices. Just don't blame me if you get addicted too!